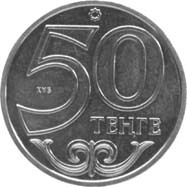 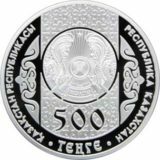 Obverse: face value“50 TENGE” in the center. 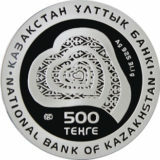 Ornamental octagonal outlet at the top, an element of national ornament at the bottom, the abbreviation “KUB. 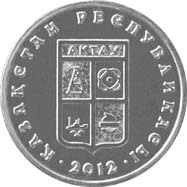 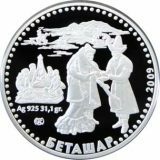 Reverse: image of Aktau coat of arms in the centre, «REPUBLIC OF KAZAKHSTAN» and year of coinage “2012” along circumference. 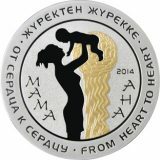 Inscriptions and number are divided by points.